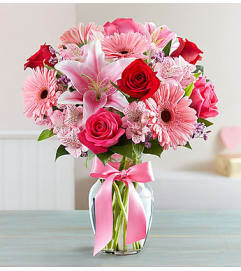 Let her know that your love is forever. 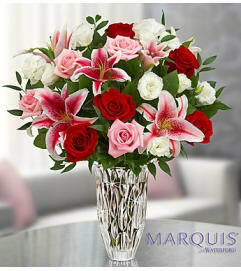 Our luxurious handcrafted arrangement of red roses and Stargazer lilies was designed to leave your Valentine speechless, beautifully displayed inside a glass cylinder vase lined with a Ti leaf ribbon. 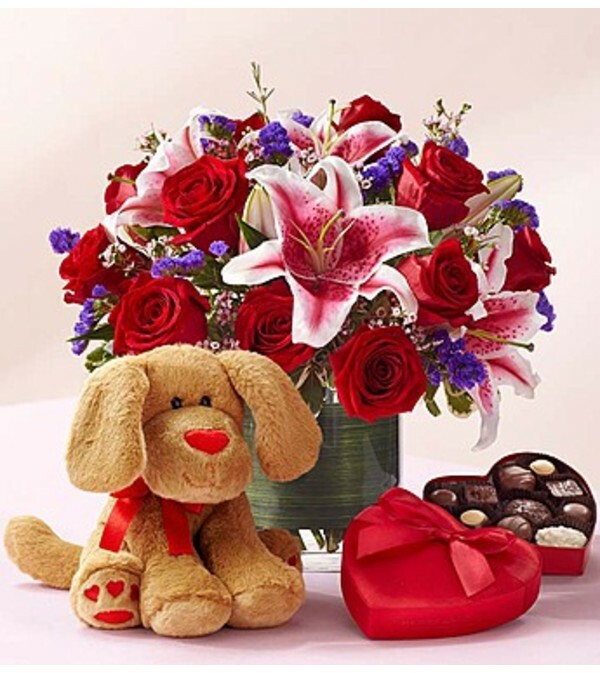 And for an extra sweet surprise, we’ve paired the flowers with an adorable plush puppy and a box of delectable Harry London® chocolates!